James Corden is the physical embodiment of marmite, you either love him or hate him. For a man beaming with SO MUCH positivity (to the point it becomes unbearable) he cuts such a divisive figure, and while I won’t claim to be his biggest fan, I have to say, the hate he receives from some corners of the globe can be quite excessive. The man gave you Carpool Karaoke, what more do you want from him? On the subject of Carpool Karaoke, begrudgingly I have to admit, it’s a brilliant segment on his Late Late Show – albeit a bit corny. Its strength lies in his chemistry with the guests who agree to appear. However, not everyone is down to share a ride and sing-a-long with the UK’s latest celebrity export, as revealed by Corden himself. For those unfamiliar with the concept of Carpool Karaoke the premise is pretty basic – James Corden picks up a celebrity in his car, they drive around, he interviews them and then they have a good old sing-a-long to the artist’s songs. Everyone’s happy, the celebrity has plugged their new record/film/book/underwear to millions of people and Corden’s level of happiness goes ‘over 9000!‘. He’s had everyone on Carpool Karaoke, from Adele and the Red Hot Chilli Peppers to Jennifer Lopez and Michelle Obama, I guess they see something in him his haters don’t. While every famous so-and-so appears desperate to get into the passenger seat of Corden’s ride, there’s one person who wasn’t keen on being his puppet. 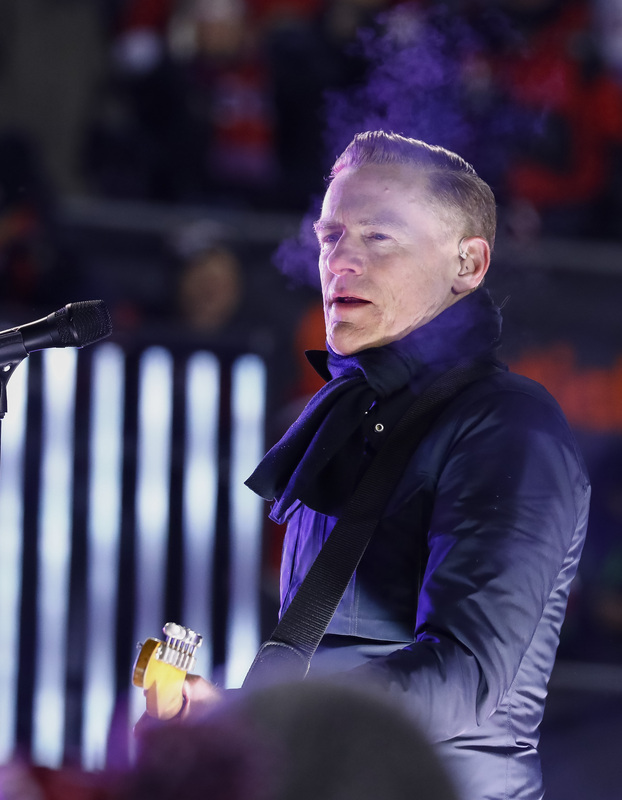 This person, is Bryan Adams. ‘Bryan who?’ I hear you say. I realise some of you are a bit too young to remember the early 90’s, but at one point in time, Bryan Adams was dominating the pop charts. His smash hit record Everything I Do (I Do It For You) spent an incredible sixteen weeks at the top of the singles charts. The lead single to 1991’s Robin Hood Prince Of Thieves, it was the apex of 80’s to 90’s power ballads. So why did the Candian crooner not want to bless Corden with his presence? According to Corden’s segment of Spill Your Guts or Fill Your Guts – which according to ShortList is like truth or dare, but with food – he revealed to Aerosmith lead singer Steven Tyler, Adams refused to take part in an 80’s themed special of Carpool Karaoke. Apparently, his management failed to tell the singer he’d be jumping into a DeLorean with The Late Late Show… host. When he turned up on set and realised what he would be doing, ‘he just bolted’. What happened was, for the anniversary of Back to the Future, we were gonna do a sort of, ‘Best of the ‘80s Carpool Karaoke.’ And we had booked in a DeLorean and we booked Bryan Adams, right, to come and do the thing, and we were very excited. I love Bryan Adams, he’s got hits for days, he’s terrific. I don’t know that Bryan’s management had told Bryan that it was a sort of a collaboration with lots of other singers from that time period? Bryan’s walked in, seen the list of other people that have done it, turned around, walked, and got in his car and left. I’ve never seen – I’ve never heard from him. He just bolted. He was gone. 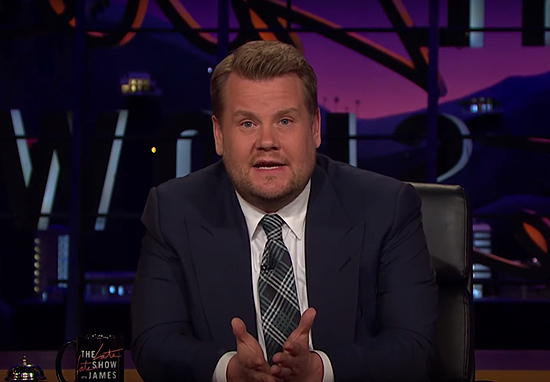 Most people would take Adams’ snub as straight up disrespect, with some swearing bloody vengeance, but Corden has remained characteristically (and unbearably) positive about the whole thing, claiming he holds ‘no grudge’ against him.